During his presidential campaign in 2017, France’s President Macron highlighted a series of proposed reforms to France’s pensions. The strapline for these changes was “for every euro contributed, the same pension rights for all”. Currently, private sector and public sector pension schemes in France have different retirement ages and benefits. Macron’s government plans to move instead to a universal pensions system, bringing into alignment the current multiple schemes that form a somewhat complex system. The next step after this will be to gradually raise the minimum retirement age. While Macron initially suggested these changes would start coming into place in 2018, talks are now expected to begin in summer 2019. The Pension Reform Act of 9 November 2010 set out that the retirement age in France would gradually rise from 60 to 62, depending on date of birth. It also said the age above which the employee is entitled to a full-rate pension (notwithstanding the length of work) will rise gradually from 65 to 67. Provisions regarding retirement have since been amended accordingly. A reform brought in on 20 January 2014 also lays out a gradual increase of the length of career needed to receive a full-rate pension. In particular, employees born after 1973 will have to fulfill 43 years of employment to retire with a full-rate pension. Employees who face particularly difficult conditions during their career or who have worked since they were very young may, however, be entitled to pension benefit at a younger age under the Act. The 20 January 2014 reforms introduced a "personal prevention account", which allows employees with difficult working conditions, such as employees exposed to noise, doing night shifts, or repetitive tasks, to receive points. These points will allow them to pay for training, reduce their working time or retire early. The account partially came into force on 1 January 2015 and entered fully into force on 1 July 2016. France's pension system is made up of three pillars: the French state pension, compulsory supplementary pensions, and voluntary occupational and personal arrangements. In 2015, public spending on pensions as a share of GDP in France was 14.9% - but this is forecast to drop significantly to 12% of GDP by 2060. Since 2012, retirees in France have had to work for at least 41.5 years before being entitled to a full French state pension (or 40 if born before 1952). This is set to rise to 42 years this year (2018), and to 43 years by 2035 for those born 1973 onwards. Otherwise, a pro-rata pension can be claimed for those who have worked at least 10 years in France. The basic French state pension can never exceed a maximum French pension rate of 50% of the social security ceiling (EUR 1,609 per month as of 2016). A public pension reserve fund (FRR) was established by France’s Social Security Financing Act of 1999. The fund plays an important role to secure the sustainability of public finances by cushioning the high burden on the pension system predicted between 2020 and 2040. The government has set out a timetable for the payout of the fund’s assets. From 1 January 2011 and up until 2024, it pays EUR 2.1bn to the Caisse d’Amortissement de la Dette Sociale (National Social Debt Amortisation Fund) to help finance the deficits in the basic state pension. It is funded predominantly by social tax on income from estates and investments, surplus sums from the French National Old Age Fund and proceeds from the sale of certain state-owned assets. Private retirement income in France is almost entirely based on compulsory systems. In addition to the basic social system, all employees are members of compulsory supplementary plans. Voluntary occupational pension schemes are still only a small part of the market. 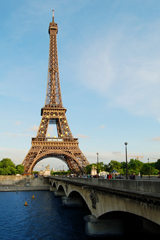 France’s employers offer two separate mandatory occupational supplementary plans. These are AGIRC (for executives) and ARRCO (for non-executives), and are based on collective agreements. They offer defined benefit (DB) plans. Both complementary schemes have been amended to reflect the changes resulting from the Pension Reform Act of 2010. The legal retirement age is 65 for men and women in both systems. Under both schemes, the normal retirement age is between 65 and 67, depending on date of birth. However, a wage earner may claim an early retirement pension at age 55 or 57 (depending on date of birth). Both systems also allow early retirement from age 60 without a reduction in pension, as long as the employee is entitled to a full social security pension (i.e. 40 years of contribution record). Otherwise, the pension is reduced and based on a career average formula. The funds are financed according to a pay-as-you-go system, based on employer and employee contributions. Annual contributions are immediately redistributed to current pensioners, rather than invested. French companies are reluctant to offer employer-financed occupational pension plans to their employees on a broad scale – they are usually only confined to executives. But to encourage individual savings, many companies have set up Company Savings Plans as a tax-efficient savings product for their employees with the option of an additional employer contribution. The five-year savings plan is a successful, well-established product. A longer-term version (10 years) was introduced in 2001 but in 2004 reforms, the government amended the life span of the plan 'until retirement’. Voluntary occupational pension plans are usually insured using life insurance contracts. Once they are set up, general life insurance companies will govern the plans, as the pension assets become part of either the general or a segregated part of the life insurance companies' balance sheet. - They can be paid out as a lump sum (tax-free) or as annuities (only a fraction of their value is taxed, depending on the age of the pensioner at the start of his pension). The system has continued to see strong growth. Assets under management in PERCO plans had risen to €8.6bn by the end of 2013, an increase of 28%. The number of companies offering a plan has also increased and as of 2017, includes more than 200,000. This means more than 1.5m French citizens are now covered by the system.